Every dropshipper faces a familiar problem. If you’re selling the same item as everyone else, how can you charge more than your competitors without losing sales? You might think that if you sell the same item, but with a higher price, customers would just buy from the cheapest seller. Yet everyday, millions of items are sold on eBay by sellers that don’t have the lowest price. In the 1880’s, the world faced a HUGE problem, do you know what it was? People had become reliant on horses to travel, which meant it could take days just to get from one part of the country to another (plus it didn’t exactly help when it rained!). So how did most geniuses at the time try to solve the problem? Well, they tried to find a way to breed faster horses. People from around the world tried all kinds of weird and wonderful experiments to create taller horses or horses with huge legs. 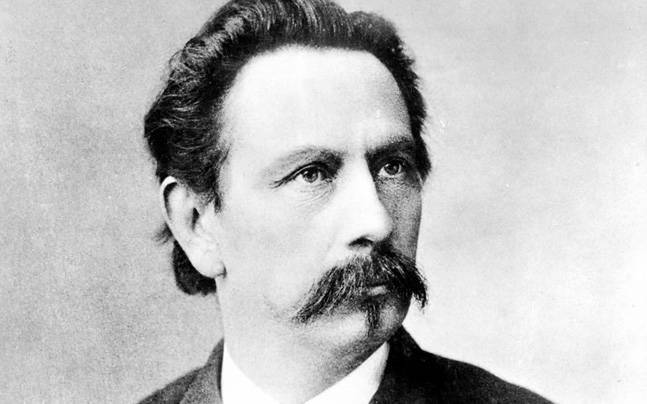 In 1885, Karl Benz (founder of Mercedes-Benz) used his creativity to produce the world's first car and completely changed the way the world travels from A to B. He had exactly the same problem as everyone else, but by thinking differently and creatively, he managed to overcome it (and become very rich too!). And the short answer is to think differently and creatively. Whilst most dropshippers on eBay focus on copying competitors items, titles, and descriptions, you can win by taking a different approach - rather than just trying to invent a faster horse like everyone else. In fact, if you just copy and paste like everyone else, eBay’s search algorithm (Cassini) will recognize it and start cutting the amount of views your listings get. So I want to show you 4 simple techniques that the top eBay sellers use to charge more than others. When your pictures match your title keywords, your listing becomes much more relevant to buyers. And more relevance, can mean more sales. Here’s an example. Let’s say you’ve discovered that selling an in-house gate could be a profitable item to dropship. Then, you go on ZIK Analytics and it tells you that two of the best keywords for you to include in the title are “child” and “dog”. In this case, it would certainly make sense that most people that are looking to buy an in-house gate are wanting it because of their child or dog. So by putting a dog or a child in your listing picture, you’ll instantly attract the attention of buyers and get more people clicking on your listings. What if this gate isn’t strong enough for my dog? What if my dog will damage their teeth on the bars? And in the end, the customers will choose to go with what they see as the “safer” option, even if the price is a little higher and the item is in fact the same! Keywords are important for getting your items seen by buyers, but it’s important to be creative when writing your product titles too. 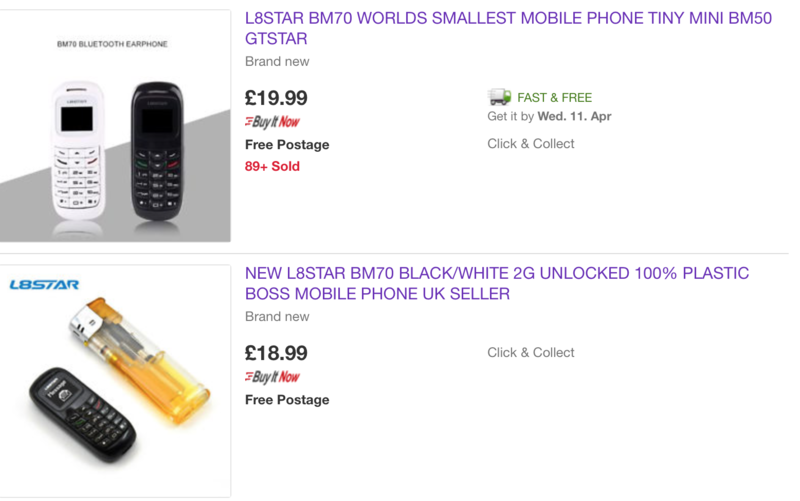 If you’ve read my first blog entry where I talk about my story you’ll remember that I started sourcing a phone from Amazon, and then selling it on eBay as the “world's smallest phone”. This is an example of creativity in action. Being creative often comes from working out what the real reason is that people want to buy your item. Once you figure it out, you’re halfway there. People want to buy this particular phone because it’s tiny - so often that’s what buyers will be searching for! We’ll call the top listing “Seller A” and the bottom listing “Seller B”. Both phones are exactly the same make and model, yet Seller A is listing it for £1 (~$1.40) more and has sold 89 items (many more than Seller B!). This is despite Seller A having only 140 feedback, a lower positive feedback percentage, the same shipping time and a similar listing description. But take a close look at the titles. Seller A has been creative with the “world’s smallest phone” and used words like “mini” and “tiny”, whilst Seller B hasn’t mentioned anything about the size of the phone in their title at all. If you think about it, Seller A has sold 89 phones and charged $1.40 more per phone so this small difference has cost Seller B over $100 in lost profits! Remember - the real reason people want to buy your item could be for a specific purpose like a “webcam for Skype calls” or for a characteristic like the “world’s hottest chilli”. Find it out and use it to add creativity! The question we’ve been asking has been “How can I sell the same item as a competitor on eBay but at a higher price?” - when sometimes the most profitable solution isn’t to sell the same item but to source a different item instead! Everyday, people buy items from eBay where the brand isn’t a buying factor in their decision which provides you a great opportunity to source a cheaper alternative to profit from. It’s sold 330 times so it’s very popular, yet nothing in the title is specific to the make or model of radio. With items like these, you can go to Amazon (or other suppliers) and look for similar but different USB car radios that have the same features but can be supplied at a lower price. Tip: Make sure that your alternative has the same features as in the title. In this example the title says “LCD”, so you’d need to source an item that also has an LCD. Once a buyer has clicked on your listing, the first thing they’ll see is your description title. But whereas your product title has to be under 80 characters, your description title can be as long as you want - so take advantage of it. If you’re selling a HDMI cable, your product title could focus on the characteristics of it like that it’s “gold plated” or “5m”. But then, you could use the description title to tell your customers something different, like how it’s “suitable for games consoles like the Playstation 4”. This strategy works for the exact same reason that uploading a relevant picture does - it reassures a buyer that the item is suitable for their needs. Whilst you might know that any HDMI cable will work with a Playstation 4, the buyer may not be as tech savvy. And when people are unsure, they go to buy the “safest” option that they’re sure is suitable for their needs, even when it’s slightly more expensive. Struggling to charge more than the competition? When everyone else is doing the same thing, you need to think differently and use your creativity to change the way you’re listing your items - don’t just try to be a faster horse. Try to think about the real reason people want to buy your item when you’re listing it and use it to be creative with your title, description title and pictures. If you can’t find a way to be creative when listing an item, you can try sourcing a unique alternative item to bring more value to the marketplace. Need some help to charge more than your competitors? Feeling like you need some more tips on how to be creative? Or maybe you just want to tell us that you have a better moustache than Karl Benz! What should I do when l found an item in Ebay has the same price in amazone ? Selling on eBay vs. Amazon: Which is better?